Cloud computing provides the ideal solution for retailers that need to become more agile and adapt more easily to changing business requirements. 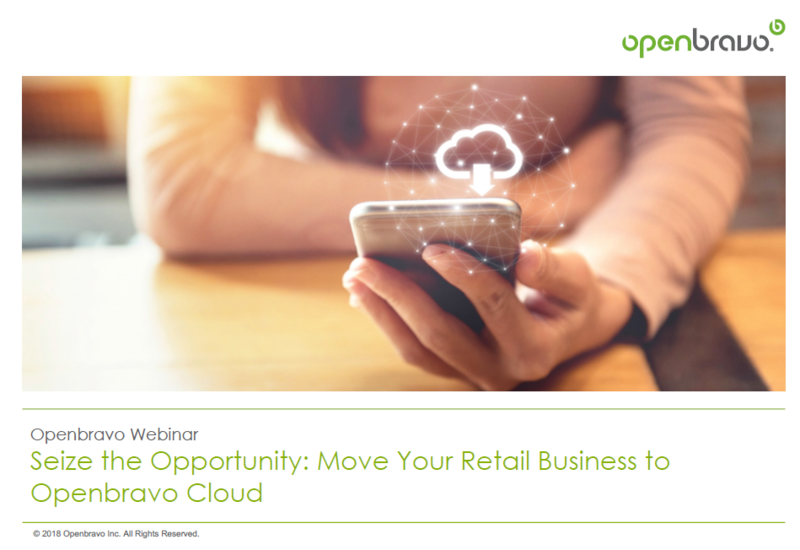 By adopting Openbravo Cloud, retailers gain in the flexibility to quickly scale up their IT capacity to cope with seasonal peaks, and a low-risk way to trial new services or business models. In return for a predictable payment, you eliminate the capital costs, complexities and headaches of running systems in-house and you gain peace of mind as Openbravo Cloud is reliable and secure. Our service level agreements offer higher levels of availability than those typically achieved with on-premise systems. This presentation highlights the benefits of Openbravo Cloud in terms of ease-of-use, scalability, security and guaranteed service levels. We explain how Openbravo Cloud leverages the strengths of world-class cloud infrastructure providers such as Amazon Web Services. It also details the technical aspects of Openbravo Cloud including monitoring and advanced options, and give you an insight into how Openbravo will evolve its cloud offering in the future..